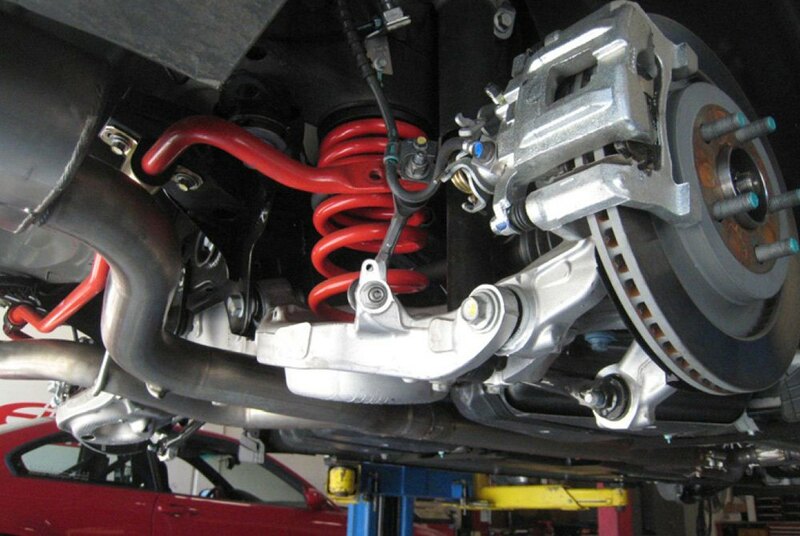 If noticeable improvement of driving characteristics of your VW Golf is your priority, and you wouldn’t mind adding a beautiful lower-than-stock look to it as well, a set of Sportline Lowering Coil Springs by Eibach is an absolute must-have for you. The thing is that this lowering kit is engineered by one of the most prominent performance parts manufacturers in the world to meet the requirements of even the most demanding Golf owners and ensure the enjoyable driving experience for everyone. So apart from providing a more precise handling, reduced body roll, and greater vehicle predictability, this kit will also add a jaw-dropping, ground-hugging look to your 2015-2018 VW GTi. Bolt it on your Golf and forget about bone crashing ride and ugly pulled up ground effects look. Please note that wheel alignment is required after installation. As usual, our technical expert Greg has prepared a detailed review of the product for you. Make sure to watch the video completely to find out the ins and out of this kit. If you’re looking to spice up the appearance of your VW Golf and get an unforgettable driving experience at the same time, choose Eibach lowering kits at CARiD.